I'm a bit late posting about this because I received my box about a month ago now but I really love this collection so I had to give Book & Nook a shoutout on my blog anyway. Since I've been enjoying receiving the Fairyloot boxes but my favourite items are usually the candles I figured it would be fun to try out one of the candle collections I'd come across on Etsy. 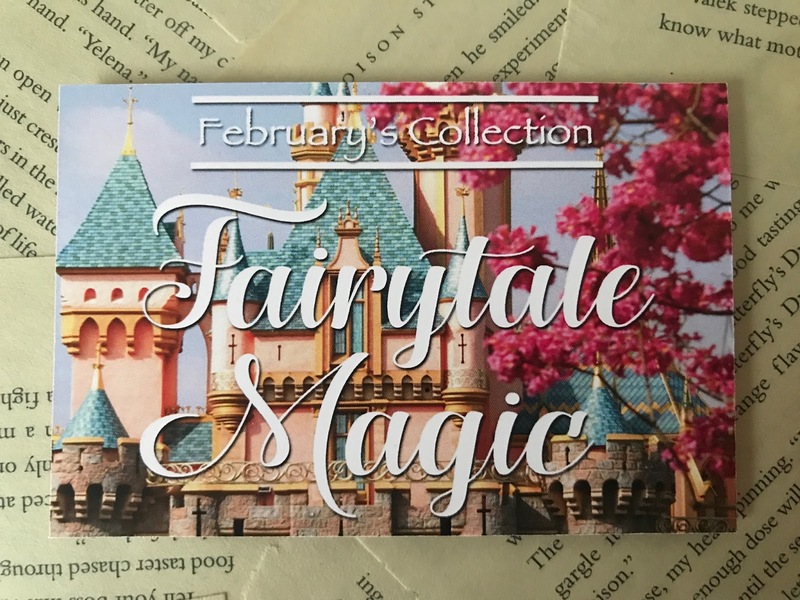 The Book & Nook theme for February was Fairytale Magic and I knew it would include items related to Alice in Wonderland, Beauty and the Beast, Cinderella and The Lunar Chronicles so as a HUGE fairytale fan it was perfect for me. The box included five 4oz candles as well as a bookish item and a bookmark and was only £19.99 + Shipping which I thought was a pretty great deal. 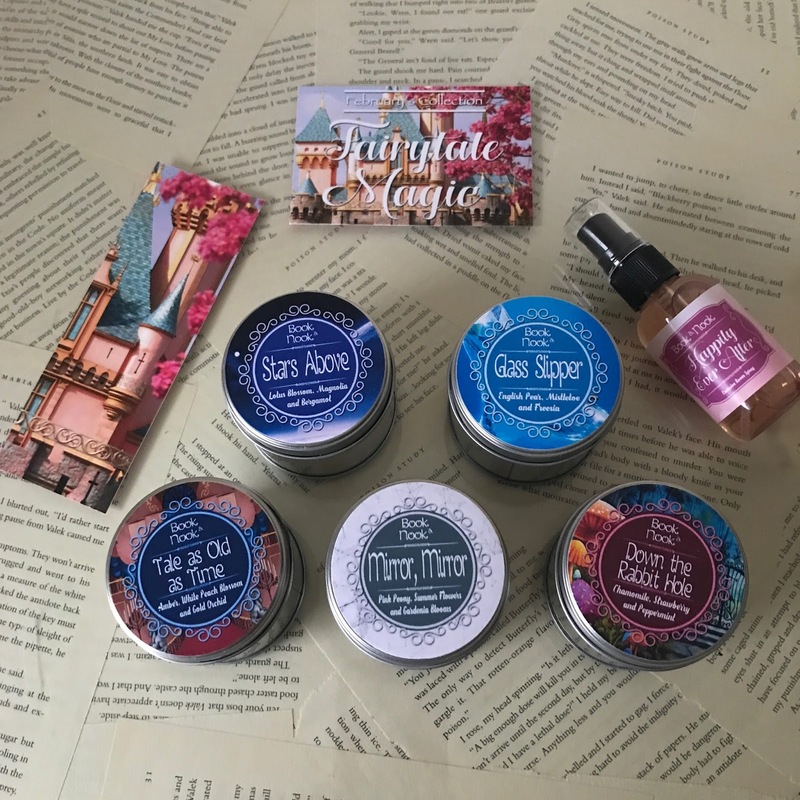 The bookish item this month was a "Happily Ever After" room spray and I have to admit that I didn't love it as much as the candles, I'm not really keen on the scent of it unfortunately, but I still think the box was brilliant value just for the candles. Stars Above - inspired by the Lunar Chronicles the scent is Lotus Blossom, Magnolia and Bergamot. Glass Slipper - inspired by Cinderella the scent is English Pear, Mistletoe and Freesia. Tale as Old As Time - inspired by Beauty and the Beast the scent is Amber, White Peach Blossom and Gold Orchid. Mirror Mirror - inspired by Snow White the scent is Pink Peony, Summer Flowers and Gardenia Blooms. Down the Rabbit Hole - inspired by Alice in Wonderland the scent is Chamomile, Strawberry and Peppermint. 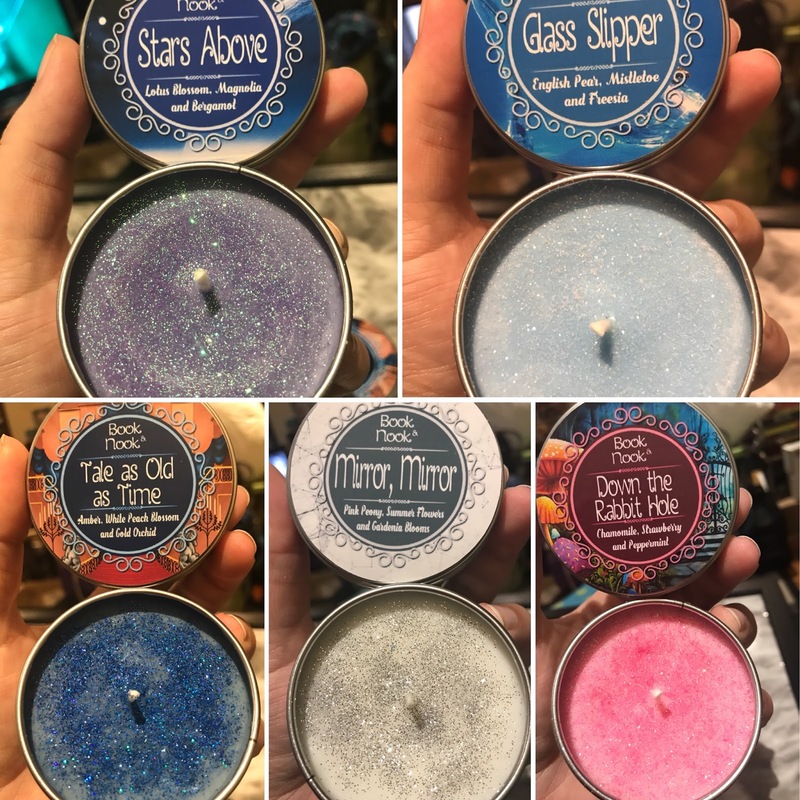 The candles all smell lovely and they're all topped with glitter for that little extra sparkle. 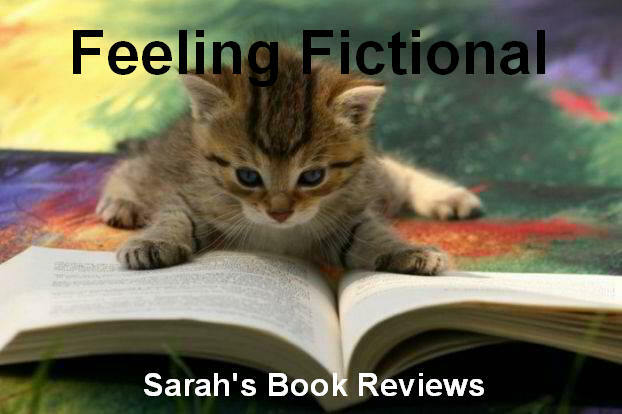 I love the tin designs too and they look lovely on my bookcases. 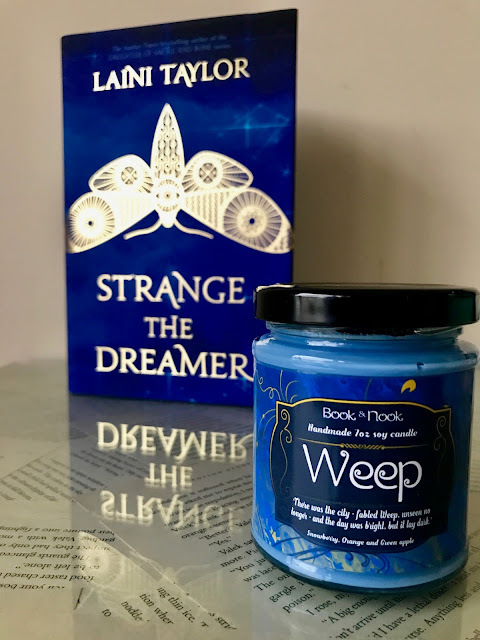 Since I was placing an order I also treated myself to this Strange the Dreamer inspired Weep candle (you might as well order big to save on shipping costs right?!). The colour has been designed to match the UK hardback design (which incidentally is the same as the US paperback!) and the scent is Strawberry, Orange and Green Apple and it's almost good enough to eat LOL. Strange the Dreamer is one of my favourite books and I can't wait to reread it with this candle burning in the background, I'm sure the smell will help me fall even deeper into the story. 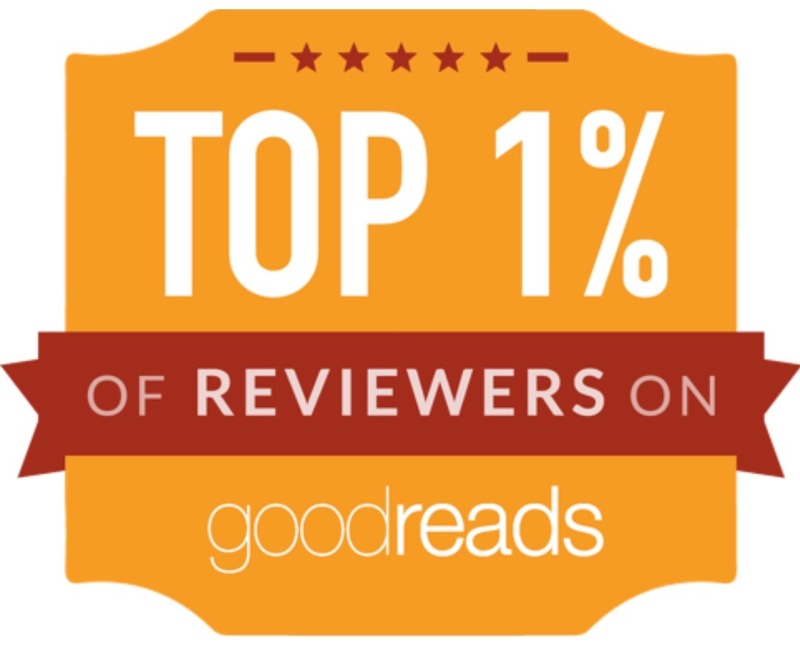 If you've not bought anything from Book & Nook before I can't recommend them highly enough, they're not doing a monthly box for April but I'll definitely be buying more candles from them in the future. You can find their products on Etsy or buy directly from their website and they are also on Instagram.